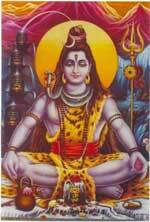 I Am “Siva is beginning soon, a foundational course in consciousness, with no prerequisites. Everyone is welcomed to experience Swamiji’s magical mix of classical teaching stories, psychology and yogic practices, along with the tangible Grace that reveals your own Divinity to you. Join Swamiji’s FREE Intro call October 16 from 7:00-8:30 pm (Eastern Time). Click here to get the phone codes. You need a Guru, yoga says, repeatedly emphasizing this in the ancient texts. Why? Explore the mystery of the Guru with Swami Nirmalananda as she explains the pivotal importance of the Guru in our Shaktipat tradition and illumines the secrets hidden in the traditional ceremonies and practices. Learn how your Guru serves you as a teacher, as a guide, as a mentor, as a role model, as an exemplar and as a mirror in which you see your Self. Your stories and experiences are an integral part of this course, through the group discussions with Swamiji. She helps you discover how to serve as an agent of Grace, uplifting others through your sharings, while deepening your understanding of your own experiences. With each personal story, Swamiji offers teachings and insights that enhance your inner blossoming. Extra phone conference calls are included in the schedule so you find a time that works for you. 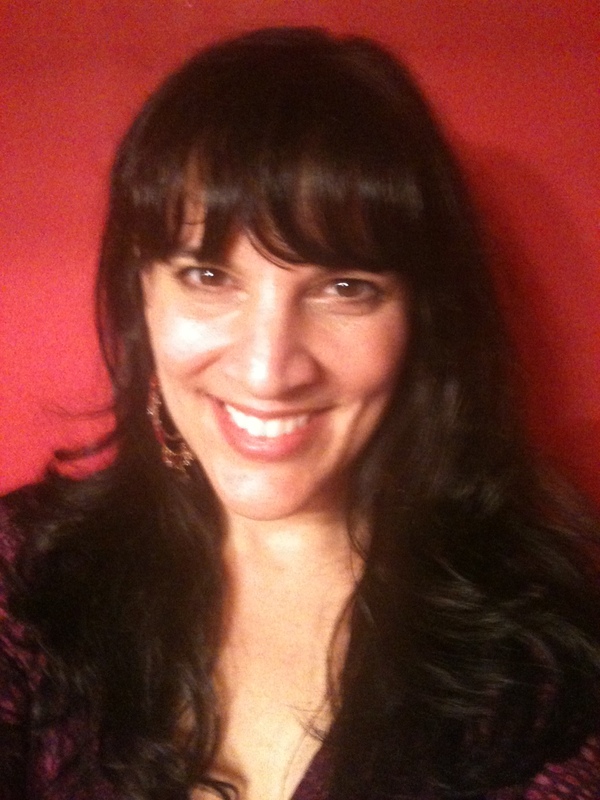 Eligible yogis may join Swamiji on a FREE Intro call, March 15 from 4:00-5:30 pm (Eastern Time). Click here to enroll and get the phone codes. This entry was posted in "Siva, Grace, Guru, Swami Nirmalananda, Yoga's Teachings and tagged Sanskrit, Shaktipat, Shiva, Swami, Swami Nirmalananda, Swamiji on September 12, 2013 by Svaroopa Vidya Ashram. You’ve chosen to have Grace in your life. If you haven’t, you wouldn’t be reading this! You also get to choose how much Grace you have in your life. How often and how deeply you experience your own divine Self depends in part on your own practices. And it also depends on how much support you allow yourself to have from Swami Nirmalananda, from her presence and from her teachings. Swamiji offers programs that support you in the way that works best for you. Would you like to take a weekend away from home, and dive deep into your own bliss in the presence of and with the support of Swamiji and other yogis? Then the concentrated Grace of a Shaktipat Retreat might be perfect for you. Or, do you prefer to stay home, and receive Grace in a continuous flow over the course of a year? Then a year-long course like the I Am “Siva course may be just right for you. You can choose between them because both are coming up soon – or you might even want to do both! Align yourself with Grace at the Conference, then dive even deeper and immerse yourself in Grace at the Shaktipat Retreat, October 6-8, 2013. With the openings you receive at the conference, you’ll be profoundly prepared to receive Shaktipat Diksha from Swamij Nirmalananda, the initiation that awakens Kundalini, the Divine power that dissolves your limitations. This Retreat is not only open to yogis who attend the conference! All the practices of the retreat prepare and support you to receive Shaktipat. 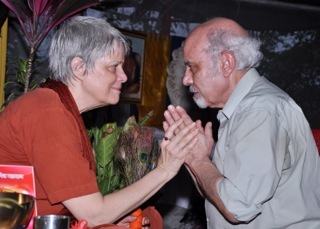 And Shuchi Cilley and I will be there to assist Swami Nirmalananda, and to support you, every step of the way. Whether you are a new yogi, experienced Svaroopi or are coming from another tradition, this year-long course lays the foundation for your studies in Svaroopa® Vidya, your experiential knowing (vidya) of your own Self (svaroopa). Swamiji created this course to take you beyond mere understanding to the experience of the Divine Reality that is your own Self. FREE CALL: If you’re interested in the I Am “Siva course, join Swamiji for a free intro call October 16: 7:00-8:30 pm (Eastern Time). Or perhaps you want Concentrated and Continuous Grace. You can of course, have it all! When do you not want Grace in your life? If you have any questions, or if you’d like to enroll in a Shaktipat Retreat or the I Am “Siva course, please contact the sevites on our Enrollment Team at enroll@svaroopavidya.org. This entry was posted in "Siva, Grace, Shaktipat, Swami Nirmalananda and tagged Grace, Kundalini, Shaktipat, Siva, Swami, Swami Nirmalananda, Swamiji, Yogi on September 5, 2013 by Svaroopa Vidya Ashram. Yoga says you are “Siva. OK – but who is “Siva? 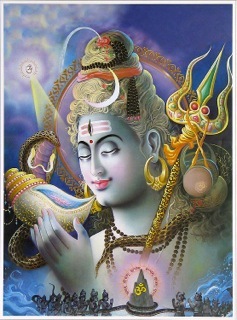 Swami Nirmalananda says, “I had never heard of “Siva when I received the mantra, so I had no idea what it really meant. I created the I Am “Siva course so you would understand the tremendous meaning of this mantra, to deepen your experience of who you really are.” Experience Swamiji’s magical mix of classical teaching stories, psychology and yogic practices, along with the tangible Grace that reveals your own Divinity to you. If you have taken this course before, please know that Swamiji is updating all the articles and audios, plus you are eligible for a specially discounted tuition rate on Enrollment Options 3&4. The reason is that your participation will not only benefit you, but your previous studies will support the new students in the programme. Designed to fill the year-end gap, this course gives you teachings and practices to support you through the holidays and into the new year. Our multi-media format allows you to study at home, preparing for the Weekend Retreat in November, or to choose a level of participation that works with your budget for both money and time. Give your Self the support you deserve! This entry was posted in "Siva, Swami Nirmalananda, Yoga's Teachings and tagged Shiva, Siva, Swami, Swami Nirmalananda, Swamiji on August 8, 2013 by Svaroopa Vidya Ashram.